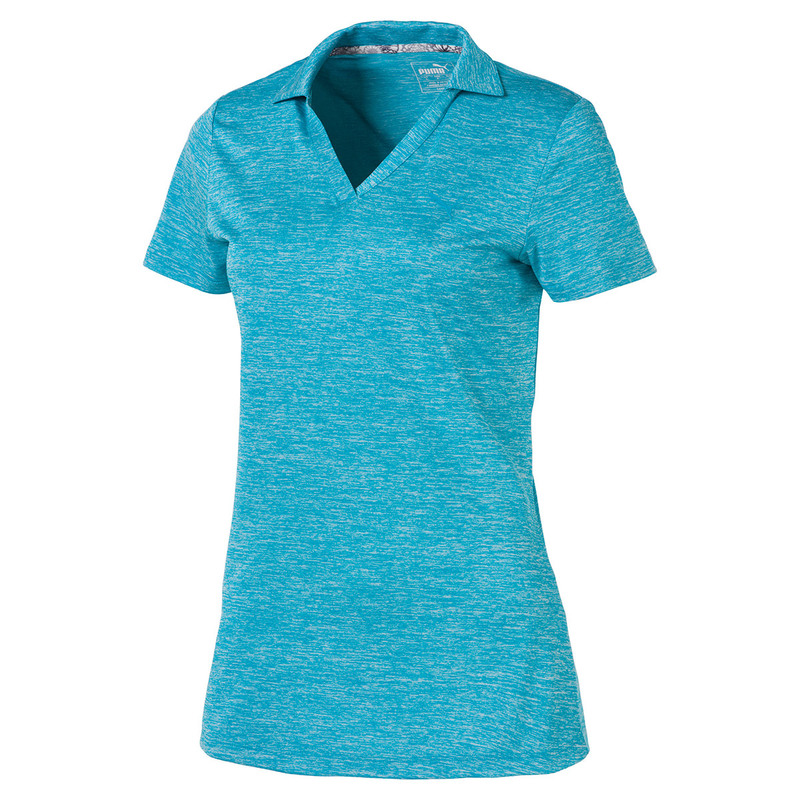 Made from soft and comfortable heathered material, this polo is perfect for this seasons golf. This is thanks to its stretch polyester construction, which moves more freely during any athletic movements associated with the golf swing. For even more performance the shirt has dryCELL moisture-wicking technology, which helps you to remain dry and less distracted during your game of golf. 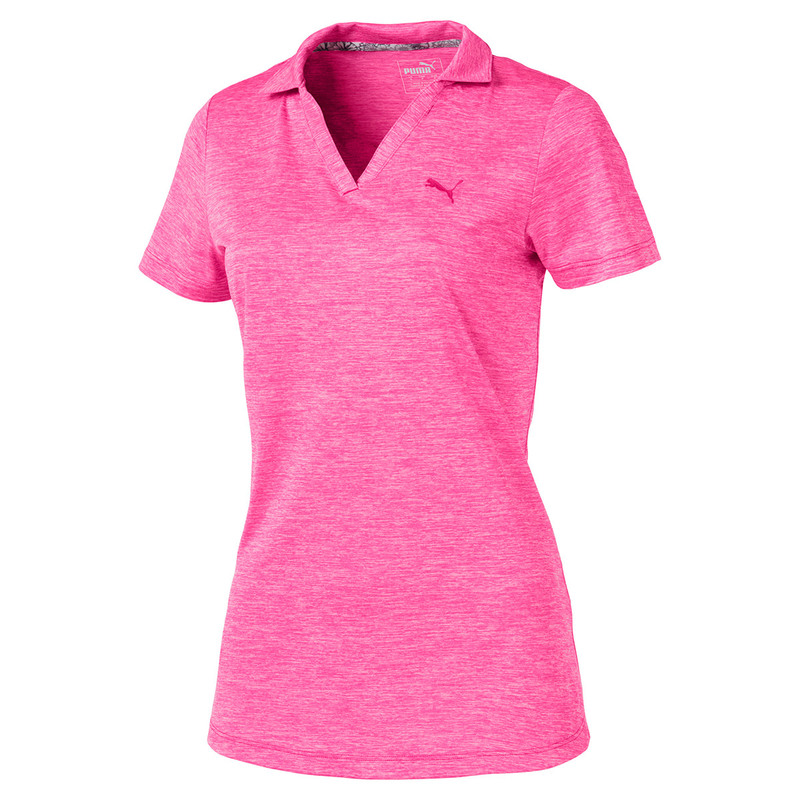 The design features a buttonless v-placket and is highlighted with a TPU heat transfer cat on the left chest.